The Secret's out! 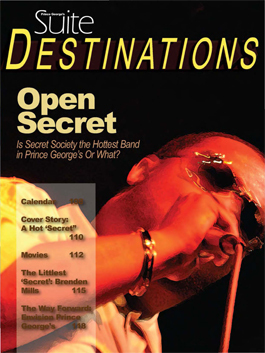 Check out articles and cover stories featuring Secret Society in Magazine 33 Virginia (Sept. 1, 2011) and Prince George's Suite Magazine (special Summer 2010 edition) highlighting 50 Who's Who in Prince George's County, MD. 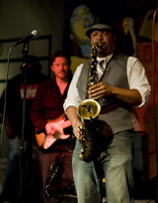 Everything you want in a band, Secret Society rocks with talent, energy and attitude! Find out why they are one of the hottest bands in the region! Secret Society performing at the Richmond Jazz Festival at Maymont, "Homegrown At The Hipp"
Bryan Mills and Secret Society perform Happy Feelin's on "It's About Time"